So far, I’m two weeks into my time in London and I’m making a promise to myself now – I will explore a different area of London each week on my day off from university. And by putting this promise out there, I’m hoping you readers hold me accountable to that, since I don’t want to come home regretting not exploring my area enough. 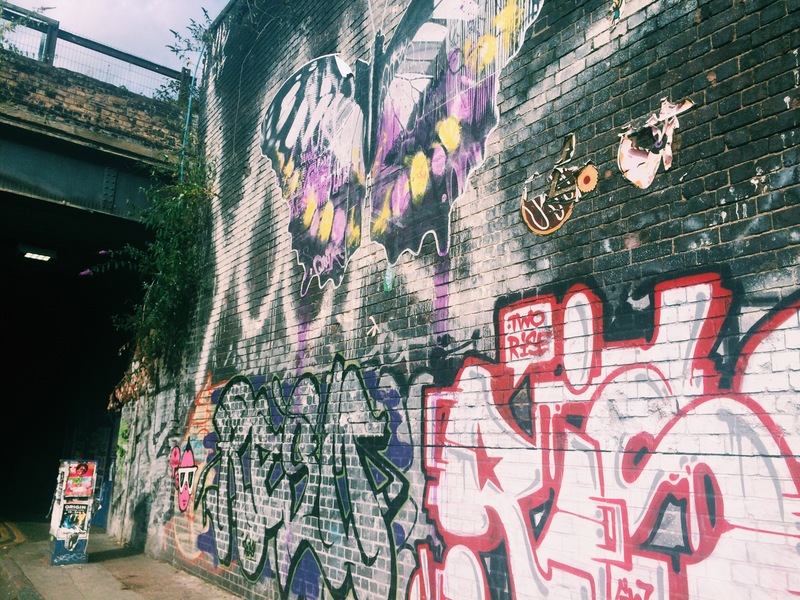 This week, my University of Washington adventure buddy, Westley, and I decided to catch the tube to Shoreditch in East London for an afternoon of walking around and hopefully not spending too much – I guess my wallet is just on a diet? Losing a few pounds every day… (that was horrendous, so sorry)! We ended up in the Indian and Pakistani neighborhood of London and regardless of the directions I had, we weren’t stumbling across the promised vintage shops. After a few misguided turns, we found the entrance to Old Spitalfields Market – an open square with vendors selling cheap goods and vintage designs. It was as if we stepped into a heaven of fun and interesting shops beckoning us with their window displays. We decided to try out the Wagamamas (Asian-fusion deliciousness) on the balcony of the market which gave us an ariel view of all the shops and let us plan our afternoon shopping. Back in the States, there’s a store called All Saints that sells the absolute best leather jackets along with so many other chic items – and the only issue being that they are ridiculously expensive. In short, I’m obsessed with this brand. 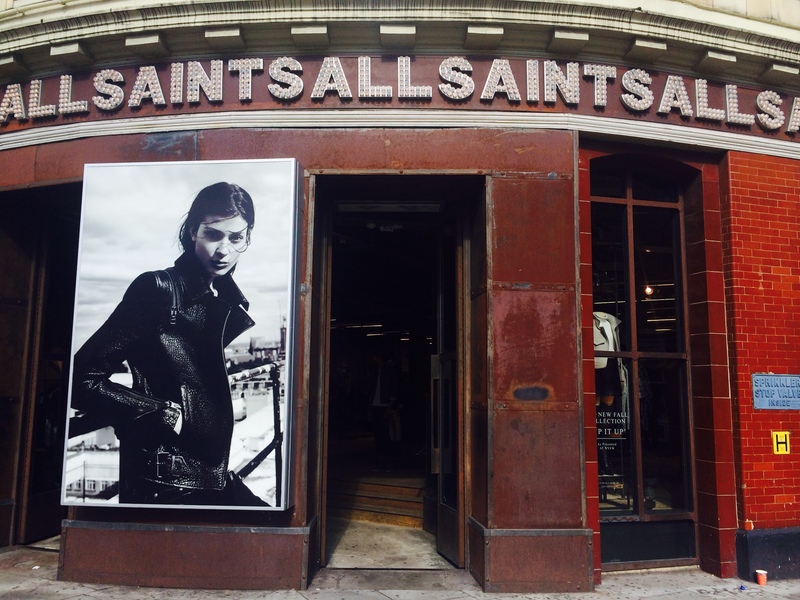 When we came across the All Saints in Spitalfields, we learned that it was the flagship store and that the lead designer was just downstairs working on a few products. I was stunned and eventually depressed when the trying on all the amazing clothing and realizing I just don’t have the funds for these additions to my wardrobe. One day, one day, All Saints I will own your merchandise. I’m constantly impressed with the historic buildings at each corner around London and then all of a sudden, the modern buildings are placed right next to them. It’s really beautiful to see two different architectures up against each other, somehow educating you of the past and present simultaneously. Shoreditch is full of intersections like this, there are so many beautiful shops and old landmarks and randomly you’ll see a modern building from the next neighborhood at the end of a street. There’s no doubt that the United Kingdom is well known for their tea – and I love having a good cup before bed…but I miss coffee. It’s so expensive here and rare to find actual ground coffee in a grocery store so you can make it yourself! 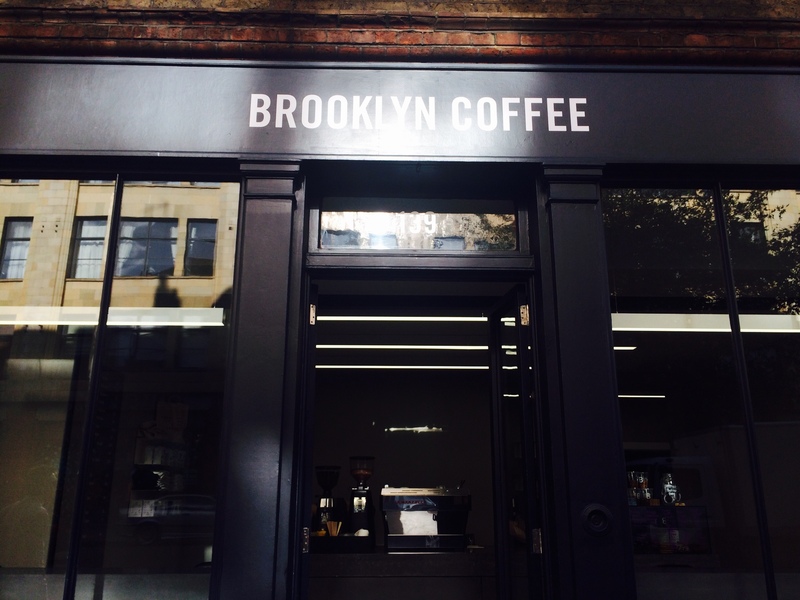 Enough with the rant – in Shoreditch there was this amazingly modern cafe called Brooklyn Coffee that reminded me of (and made me tremendously miss) my New Yorker sister and the fun times I’ve had traveling there as well. 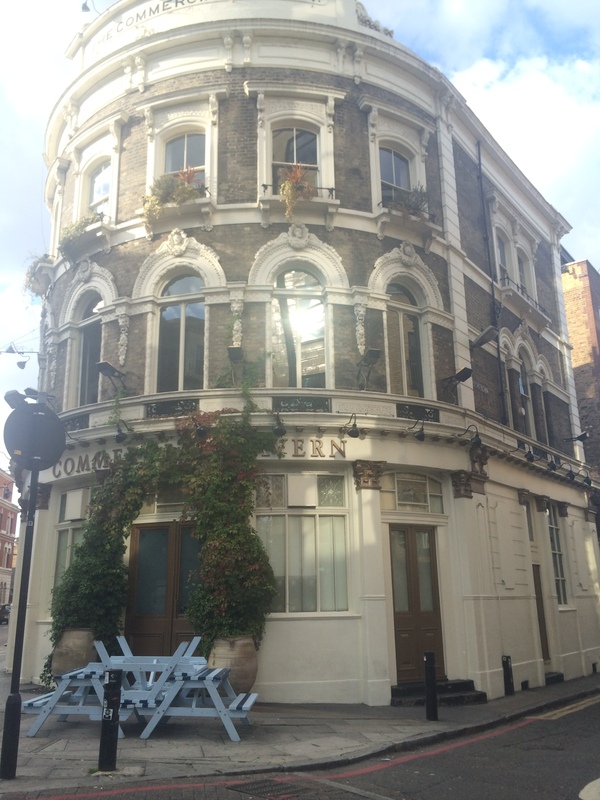 And it was a welcome site to have a latte in hand as I roamed the streets of East London. 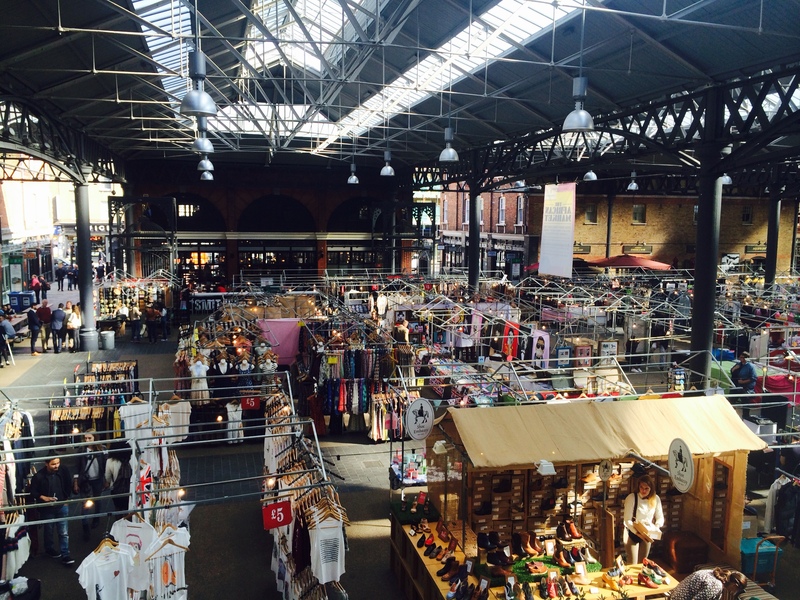 If you’re into a younger feeling in a neighborhood, Shoreditch has that along with artistic graffiti on the streets near the tube stop, Spitalfields Market for the cheap and funky goods, the vintage market open Thursday through Sunday for all the your retro desires. There are loads of book stores, record shops and quirky house stores along the streets – so basically a trap for anyone with a few pounds in their wallet, since it’s impossible to leave without having done some shopping. 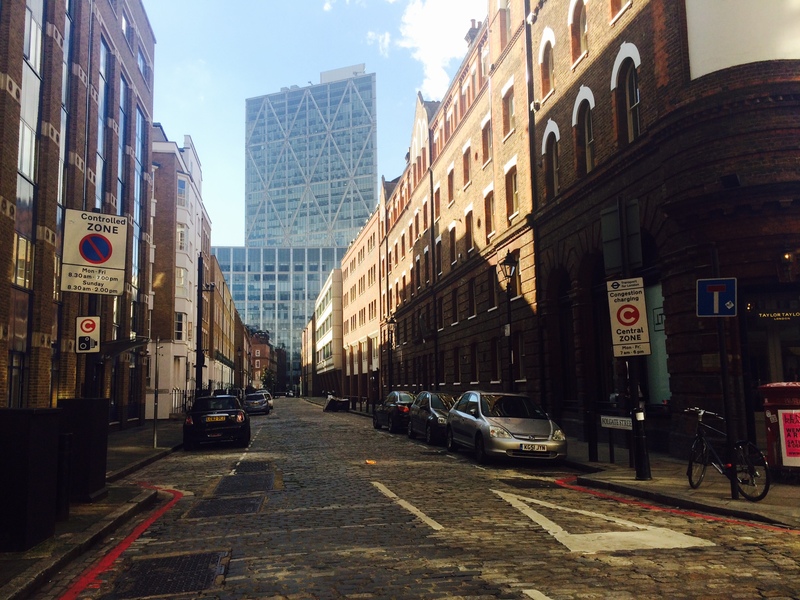 Even though we were only 8 stops away from Central London and our campus, the differences in the neighborhoods are fantastic to see and explore. 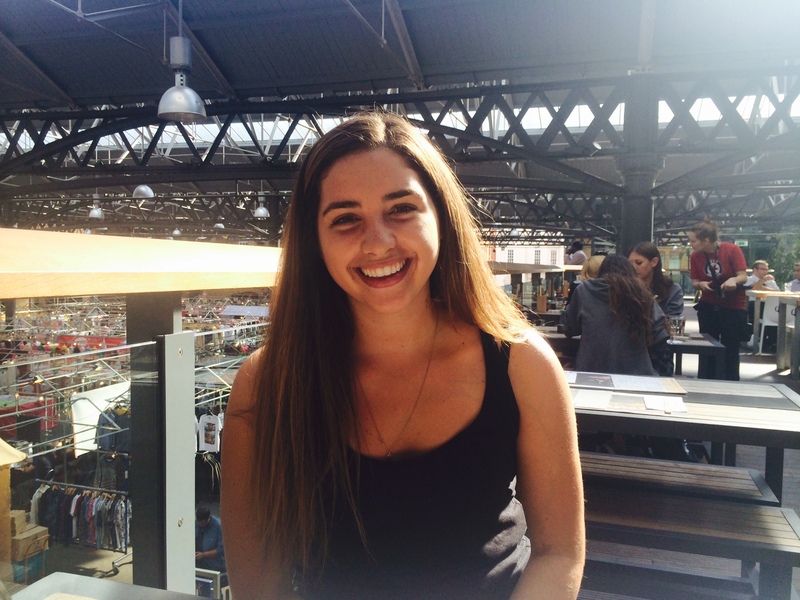 Any suggestions or recommendations for which neighborhood of London I should explore next? East London is quite dodgy love!